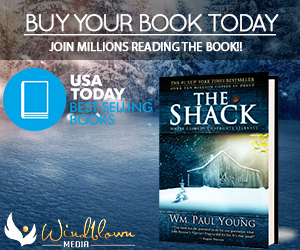 Best-selling novel turned upcoming blockbuster, The Shack tells of a father who experienced tragedy, causing him to question everything and embark on a journey that changes his life in ways he couldn’t have imagined. While the movie won’t be released until March 3rd, you’re in for an early treat. The Shack: Music From and Inspired By the Original Motion Picture is coming February 24th- and it is a work of art. 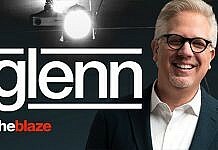 The album features 14 tracks, each with the power to be an individual, stand-out hit, and boasts some of music’s elite as artists and performers. Beginning with “When I Pray For You,” we hear a touching love song from a father to his child while he is awaiting its birth. The lyrics convey all the dreams, anticipation, and emotion the father experiences as he imagines his child and prays for him. The track is performed by Dan Smyers and James Shay Mooney, better known as country duo Dan + Shay. The country-pop tune begins with an uplifting melody on piano and flute, soon joined by Smyers’ and Mooney’s vocals which are on point, smooth, and inviting, both solo and in perfect harmony. CCM star Francesca Battistelli brings track “Where Were You” to vibrant life. Starting simply with only piano and Battistelli’s vocals, the song expresses the emotion we feel as we go through trials in life, feeling like God is not with us, only to later find His footprints were there all along. The perfect storyteller, Battistelli’s signature vocals are genuine and flawless as they lyrically and emotionally express the meaning of this song. “HARD LOVE” is a fun and surprising collaboration by CCM favorites NEEDTOBREATHE and Lauren Daigle. Featuring synthesized accompaniment and a rock feel, it is a deviation from the artists’ usual styles. However, it’s impossible to tell – everything about this catchy song feels natural and inviting, showcasing the talent of these artists as they combine their usual styles with unusual sounds to create a successful hit. Halfway through the track, the majority of the accompaniment drops off, providing a stripped-away bridge showcasing NEEDTOBREATHE and Daigle’s raw talent and complementary harmony. With the variety of artists, styles, and immense talent contained in this album, there is a message or sound that every person can connect with. 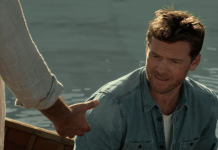 Dierks Bentley’s “Days Of Dark” is an upbeat, summer-with-the-windows-rolled-down country classic about looking forward to a new day instead of staying in the sometimes painful past. 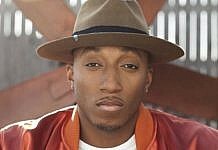 “River Of Jordan” is a catchy, multidimensional rap that showcases Lecrae’s expert rhythm and skill as he and collaborator Breyan Isaac speak of washing away our sins and losing our “religion,” but finding God. In “Heaven Knows,” group Hillsong UNITED quickly transports the listener to a sacred place of worship within the first few moments of the songs, as they often do. The song is celestial, gentle, and filled with palpable passion as the group wonders at the love of God. Superstar Kelly Clarkson and Aloe Blacc join forces in a well-crafted duet, “Love Goes On,” relating the power of love that can heal all wounds. The duo’s vocals complement in cozy harmony, while easy-going accompaniment brings the groove. 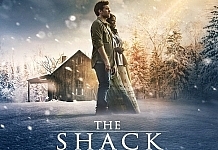 Though it does not come as a surprise based on the performing artists involved, The Shack: Music From and Inspired By the Original Motion Picture is a phenomenal collection. The genres are varied, but every track is unique and exceptional, and the messages they convey are authentic and inspiring. 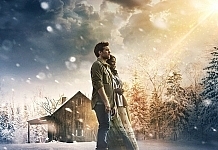 If this soundtrack is any indication, you won’t want to miss the movie, The Shack, in theaters on March 3rd.